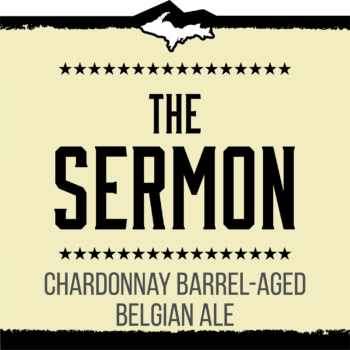 The Sermon is aged in once-used French Oak Chardonnay barrels. The wine and oak notes of the barrel are prominent and beautifully complimented by Belgian yeast characteristics of clove and fruit. Delicious grape, pineapple and vanilla notes are also present. The Sermon was affectionately coined for our first brewer’s penchant for late night homilies.